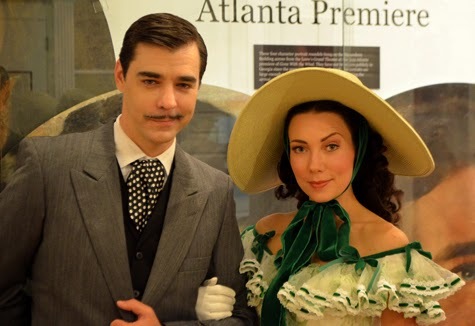 On Margaret Mitchell's birthday, just more than a week ago, the Road to Tara Museum debuted a new exhibit and an exhibit expansion at a VIP reception with Rhett Butler and Scarlett O'Hara in attendance, as well as quite a few other dignitaries. I'll share more about the event and photos from the event in the near future. In the meantime, the truly great news is that this was the kick-off event of a year of celebration of the 75th anniversary of the Gone With the Wind movie at Road to Tara Museum!